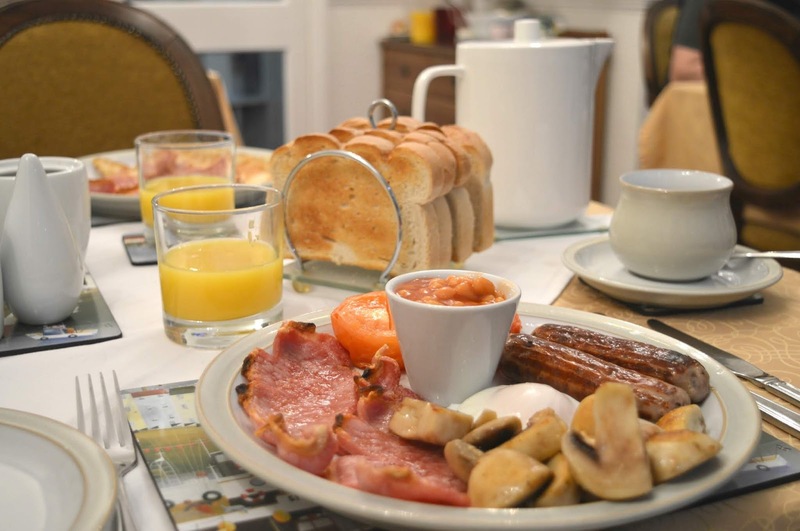 Some of my favourite childhood memories were created in B&Bs - the excitement of sharing a room with Grandma, the promise of a special breakfast and the chance to experience living somewhere else for a few days. Growing up my family always favoured B&Bs when we went on holiday, my Mum always found the best places to stay and every single experience we had was wonderful - yet I don't think I've actually stayed in one since the 1990s! For some reason Simon and I have never really used B&Bs and I don't for the life of me know why. 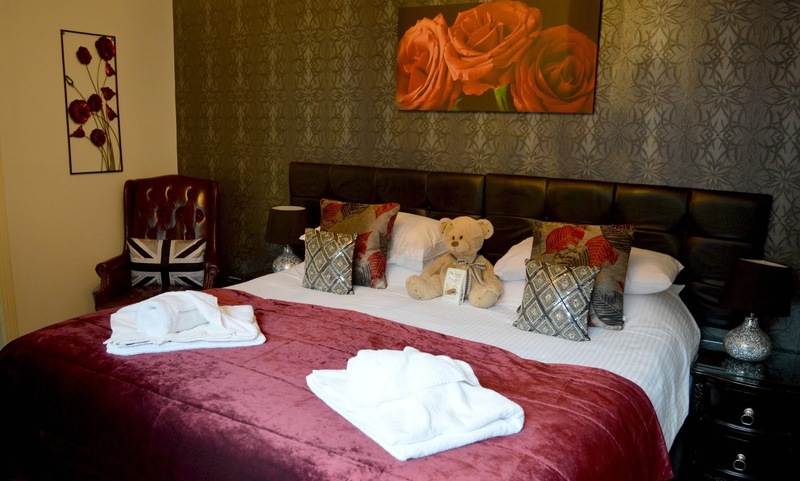 So when online booking specialist, eviivo invited us to stay at the Forest Guest House in South Shields to celebrate National B&B week I was excited at the thought of recapturing a part of my childhood I'd forgotten and introduce Simon to the wonderful world of B&Bs. 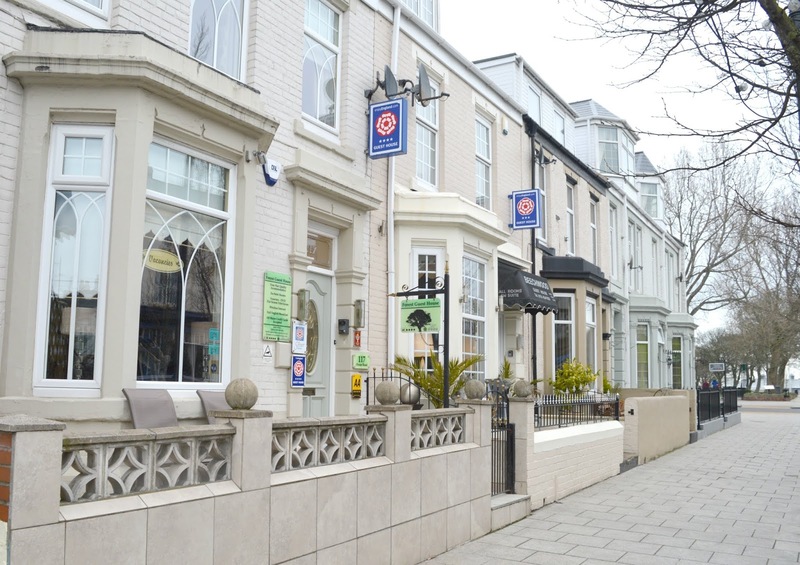 Forest Guest House is in the heart of South Shields, perfectly located on Ocean Road which, if you're local, you will know is THE North East destination for the best curry houses. 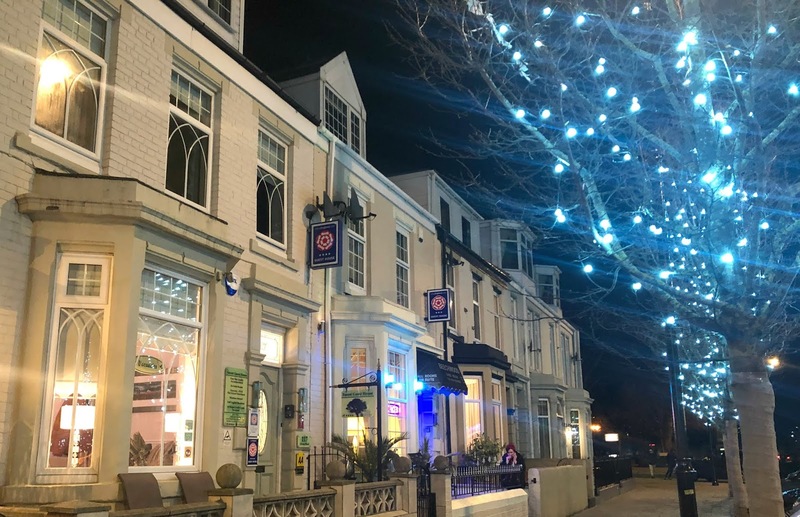 A short stroll down to the seafront, close to the Metro and surrounded by some fantastic bars and restaurants - it's the perfect base for a night away. We turned up on a blustery Saturday afternoon and were welcomed in by owner Janet who instantly made us feel at home. I'd forgotten what a great personal experience you get when you stay at a B&B - being welcomed in to someones home feels so much more special than checking into a hotel. Our home for the night was "Room One', an executive double beautifully furnished, with a huge bathroom and a little furry friend! How gorgeous is our pal? With such a homely finish to our room, there were so many lovely little touches. We had been left some chocolates (which we greedily ate despite being full after dinner! 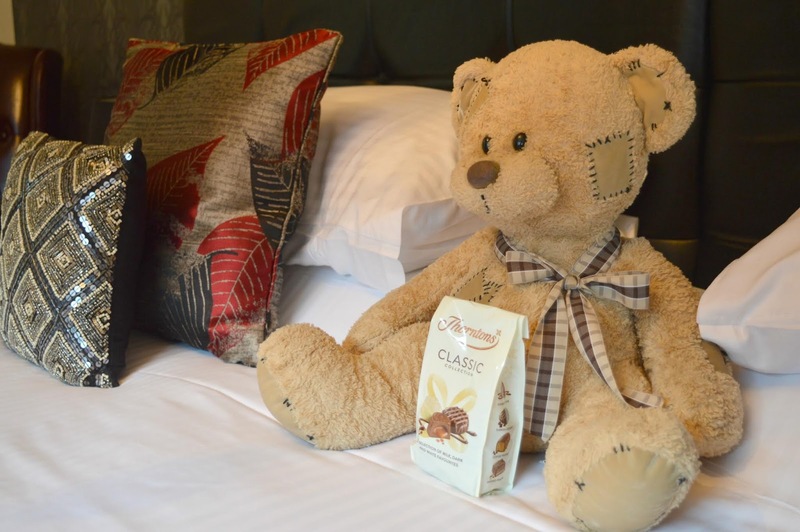 ), enjoyed a fully loaded tea tray, fancy toiletries and Simon's favourite we had a DVD player as well as a TV and a very impressive DVD library in the corridor outside our room. As soon as Simon saw the DVDs I knew he would have happily stayed in the room all evening, but it's not often we get the opportunity to explore one of our favourite seaside towns after dark so there was no way I was going to let him stay in. 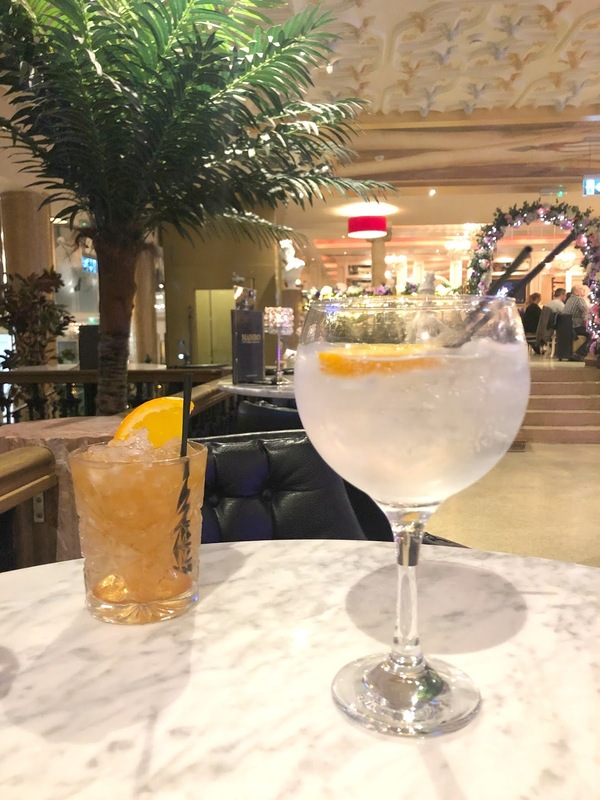 Usually when we go to South Shields we head to the same restaurant, it's one of our favourites and hard to resist but this time we were very keen to try somewhere different and so asked our hosts for a recommendation. One of the best things about staying in a B&B is you get some really great ideas of where to head from locals who know what they're talking about. I was so keen to discover a new favourite! I was in the mood for Italian so we headed to Da Vinci's a few minutes walk down the Ocean Road, somewhere that we've never paid any attention to before despite having walked past it so many times. It was a beautiful little traditional restaurant with so much character and the best tiramisu we'd ever tasted (we both ordered the same for dessert on the recommendation of our B&B hosts). As we left the restaurant and walked down the street I was so surprised at how packed all the restaurants in South Shields were, everywhere we passed was full with diners and people out and about enjoying their Saturday evening. I honestly had no idea that South Shields was such a night time destination. We have been missing out! After our meal we decided to head to Mambos Wine and Dine for a couple of drinks, another destination that came recommended by our hosts. We couldn't believe what a gem it was, gorgeous decor and a very impressive cocktail list. Now I'd love to tell you all that we went all out in South Shields but the reality is we made a toast to being "out, out" and then realised it was actually only 6.52 pm, not 10:00 pm like we'd thought. It wasn't long after that we realised we were pretty shattered and the lure of that comfortable looking bed at the Forest Guest House was just too much to resist. We turned in for the night at 9:30 pm and then slept for 10 hours, something we'd never be able to achieve at home. It was so lovely to have a proper night's sleep and I think we have the super comfortable bed to thank for that. The next morning I was so eager to get downstairs having told Simon over and over that you always get the most incredible breakfast in a B&B I just knew from the delicious smells creeping up the stairs that the Forest Guest House were really going to deliver the best start to our day. We made our way into the dining room and were surprised to find an open kitchen at the end of the room. It really was like being at a friend's house as we settled ourselves down at our table and tucked into our cornflakes whilst chatting to our hosts, Janet and Peter about anything and everything from the origins of the B&B to the current works on the Metro line and our favourite things about South Shields. Of course when you're enjoying a night away from home it's perfectly acceptable to have a multiple course breakfast and once we'd finished our cereals we indulged in a cooked breakfast. Simon opted for huge homemade pancakes with bacon and maple syrup and I went for the more traditional English Breakfast. It's not often I'll choose a fry up but I just couldn't resist the local produce on the menu and I'm so happy I went for it because it was really delicious. I was far too full for the pile of hot buttered toast we had on the side but I just had to polish that off to. With breakfast over it was time for us to gather our belongings and return home. We gained so much during our short stay at Forest Guest House and are so happy that we made so many great new discoveries in South Shields and made some new friends in our B&B hosts! We absolutely loved our break and it was a welcome reminder of how great a B&B stay can be and why we really should be using them more often! National B&B Week takes place from 18 to 24 March. 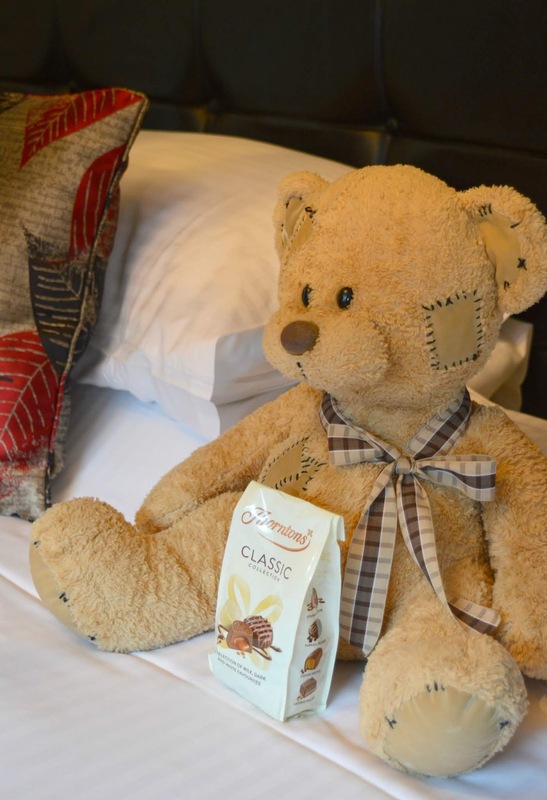 Working with eviivo and the wider industry, B&Bs across the UK are offering guests extra perks such as free champagne on arrival, unlimited ice cream and complimentary afternoon tea. head to https://bandbweek.com/offers/ for more information and to book a stay. We were guests of eviivo who treated us to a free night's stay at the Forest Guesthouse in exchange for this review. I do love a good B&B. The breakfast looks great. 10 hours sleep is amazing - obviously it was a comfy bed! That has to be the longest sleep I have ever had, I'm usually really really rubbish at lying in! We always stayed in them when we were kids, my Mum was forever researching them (back in the days before the internet was there to help you!) - she used to spend hours reading loads and loads of brochures and newspaper articles!